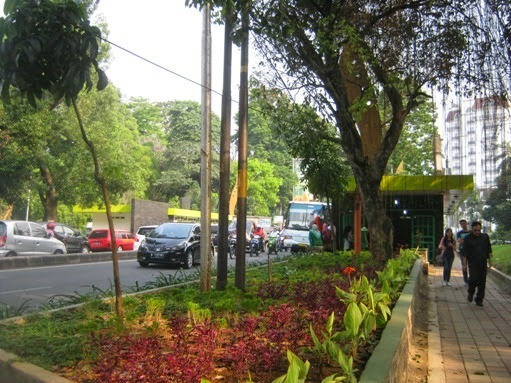 Reopened again at 14th July 2014, the underpass for pedestrian that connects the IPB Baranangsiang College and the Bogor Botanical Gardens is now clean, bright, and not scary anymore. With the support of many institutions, associations, residents, the new city major can function this public facility again. 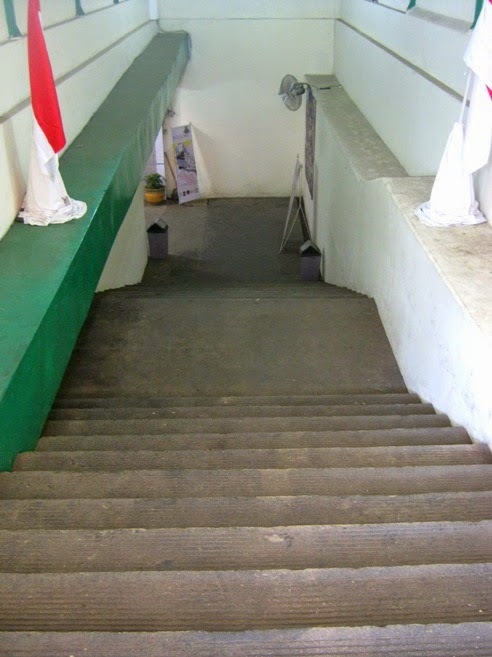 In fact, this underpass was built about nine years ago, but the previous local government didn’t perform required protection and maintenance. 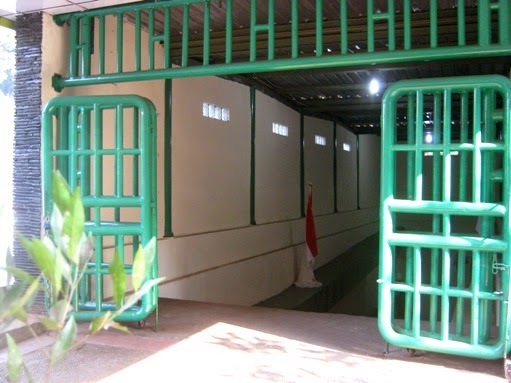 This facility became very dirty, smelly, scary, and dark; moreover some ‘bad’ people misused it. Then it was closed for several years until last July this year. 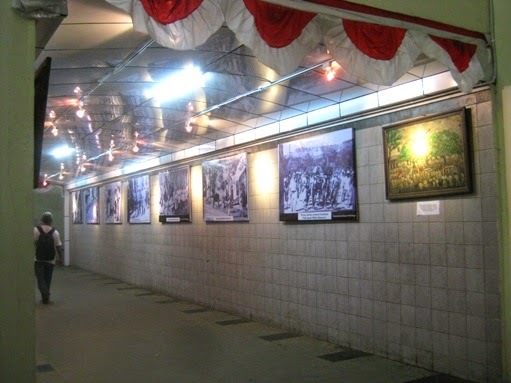 Not only for easing pedestrian to cross busy Pajajaran Street and reducing traffic jam, this new underpass is also created to become a media for local artists to display their artworks. So it would be a photo or painting gallery. Yesterday Sunday was my first time to walk on this underpass. 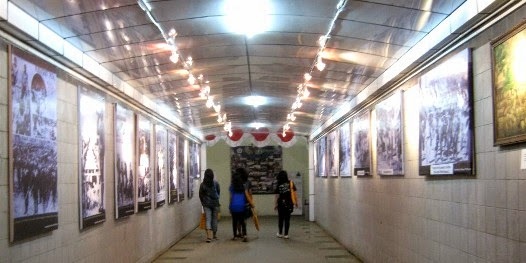 On both side of walls attached a number of repro heroic photos and the panting of local artists. For security reason, CCTV cameras and officers are located there.